Pye Hill (No1) colliery (South Nottinghamshire) sunk in 1874 to 236 yards (216m) as New Silkstone by James Oakes and Co at Jacksdale and renamed from 1894 was closed in August 1985 after 110 years. 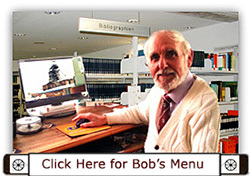 It was used for materials and manriding. It was a unique pit in that it had 2 separate surface installations. It was deepened in 1949 at 14ft dia (4.26m) to the Tupton or Low Main and a new pit bottom was constructed in 1953. 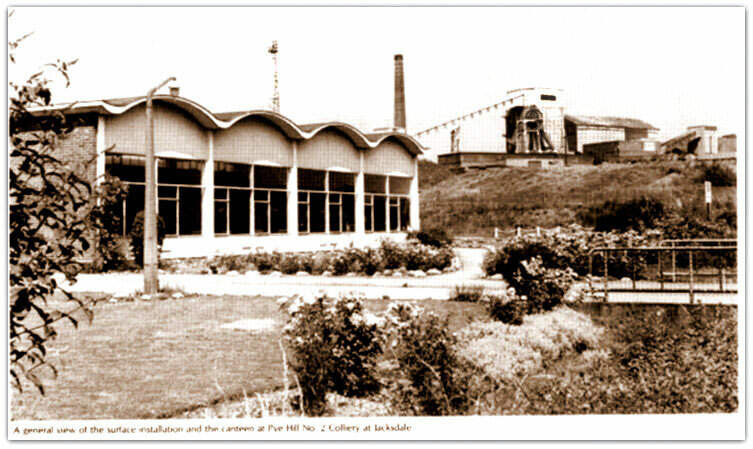 The original pit Pye Hill (No2) was in Jacksdale and used for coal turning. There were a number of old shafts and an adit sunk by James Oakes within the limits of the colliery surface. One pit was sunk in 1866 to the Black Rake ironstone, the remainder being sunk to app 232 yards (212m) to below the Yard seam prior to 1875. Water was always a problem. The Black Rake shaft sunk to the Black Rake ironstone bed was apparently for pumping purposes, there being a beam engine pump working until after nationalisation in 1947 till about 1952. The Black Rake was then allowed to run into No2 UC shaft which was filled and capped in 1959. The Tunnel Adit drift was driven in 1864 at 1in3 to Deep Soft and Deep Hard. The Deep Soft workings were connected to New Selston and Pollington pits. Pumping from the Black Rake ironstone level continued in the Tunnel until April 1966 when it was temporarily stopped off. The Adit was permanently filled and capped in Aug 1976. The Blackshale (Silkstone) seam was developed in 1874 and worked continuously until closure on 9th Aug 1985. 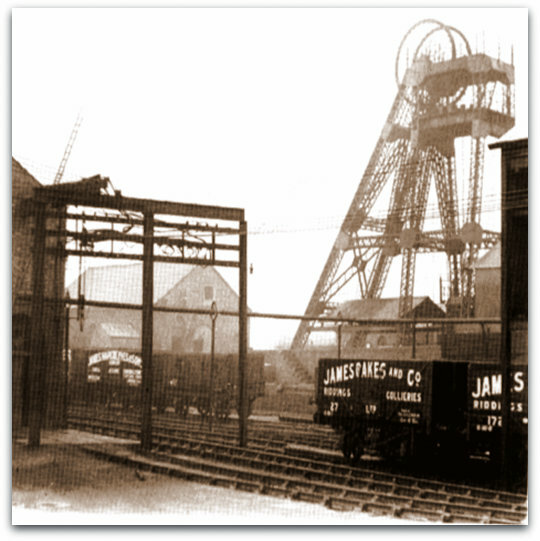 Pye Hill colliery was the result of the merging of Pye Hill colliery in Jacksdale (known after 1968 as Pye Hill No2 colliery and Selston, Underwood, becoming known as Pye Hill No1 colliery). Selston was a single shaft at Underwood, (Pye Hill No1) 43/4648/447778 at 14 feet 9 inches (4.4m) dia and 236 yards (216m) deep was re-sunk to 348 yards (318.5m) in 1875-1876 by Barber Walker and Co to Deep Soft and Deep Hard with cross measures drifts to Tupton (Low Main), Blackshale and Piper seams. Entry to Blackshale was by drifting down from Tupton seam, with production starting in 1956. The Deep Soft finished working in 1932. In 1930 coal was undercut by machine but still hand loaded into tubs. In 1944 gate end loading points and conveyors introduced with trunk conveyors in 1945. There was a connection between Selston and Moorgreen in the Tupton seam in 1956. At amalgamation in 1968 the Blackshale workings were divided, the east side workings becoming Moorgreen and the west side Pye Hill. These workings were connected to Brinsley shafts by a 1in3 drift and continued until 1984. Brinsley formed part of the colliery and winding and pumping ceased in 1970 and these shafts sunk to the Deep Hard were filled and capped in 1975. In 1978 there was connection to Moorgreen in the Blackshale seam (K14s Supply gate). The Piper seam was developed in Feb 1977 in the vicinity of Selston pit (Pye Hill colliery No1 shaft). A Return airway drivage from Deep Soft and main Intake from the intersection of the Piper seam in the 1in4 drift connecting the Pit Bottom and the main Blackshale trunk road. Production from the Piper seam commenced in 1979 and continued until 14th June 1985. No2 shaft 43/4648/429779 was sunk in 1866 to the Black Rake and deepened to 220 yards (201m) around 1875 and used as an Upcast shaft at Pye Hill No2 colliery until 1964 when it was refilled and capped. About 40 old coal and ironstone shafts surrounded the mine. Coal was conveyed on a cable belt up the surface drift 864 yards (789m) long driven in 1966/67 at 1in 3.75 to the Blackshale seam. This was filled and capped in Jan 1986, position 43/4452/653189. Until 1969 when filled and capped New Selston colliery shafts formed part of Pye Hill colliery No2 with the No2 shaft being used as an Upcast. After 1963 only No1 DC shaft was in use. Workings in Deep Soft connected to New Selston (locally known as Bull and Butcher) and Pollington, pumping continued until 1966, filled and capped in 1976. Pye Hill No1 was Old Selston colliery and was interconnected to Moorgreen at Deep Soft, Tupton and Blackshale levels but in 1969 it was linked to Pye Hill No2 instead. At one time men went down Underwood shaft and rode to work on a conveyor belt. It was the first pit to have chainless haulage on the face. Another system, Star track, on a CMT was installed later in the 3’ 11” (1.20m) thick 3 leaf Blackshale seam on 31s face in June 1977. A further installation on K36s followed by another type of chainless haulage called Racka track and then a further idea called Pin wheel. A fire on the screens one Sunday evening caused by sparks from welding apparatus igniting coal dust was noticed by a cutting team going on the night shift and was successfully extinguished by a barrier of sandbags due to lack of access to water. The screens were partially destroyed but the pit top was saved by the quick thinking of the team. 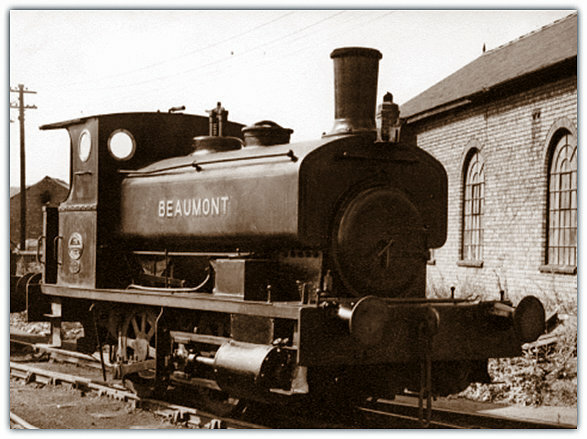 A Beaumont 0-4-0 steam tank engine was used for surface shunting duties. Following oil lamps for illumination underground, hand held Ceag lamps followed by Concordia lamps before finally cap lamps were introduced around 1947. During the Second World War, Lt-Col Wright was in charge of the local Home Guard service. The pit was a unit of No5 Area of the NCB until 1967, when it became part of South Nottinghamshire Area. A major incident occurred in the shaft when the shaft cables came loose and showered the pit bottom with debris. A team raised in a cage located the problem but before they could be lowered again one of the ropes got dislodged under the cage and the cage could not be moved. As they hung in the shaft it was some time before the rope could be cut through to allow the cage to be lowered and of course the pit was stood for a time whilst repairs were carried out. Pithead baths and canteen were opened in 1955. The winder was electrified in 1956. Selston thirled through to Moorgreen in 1956. Possibly first shaft was sunk in 1831 and re-sunk in 1876. The colliery may be the one sunk in 1728 and taken over by Barber Walker. Old Waterloo pits 1879, sometimes referred to as Chapel pits (situated opposite the Chapel and located between the railway routes). Tunnel pit Low Main start 1896-Mar 1897. Underwood sunk 1851 some 160 yards (146.3m) to Top Hard. No2 43/4452/728250, surface level 293’ (89.3m), 223 yards (204m) to Yard seam. Blackshale or Silkstone 1894 - 9/8/1985.